In order for a business to be found by its customers, it's never been more important to have a strong online presence, incorporating a mobile-friendly, responsive website, a clear digital strategy and integrated digital marketing campaign. Webfirm is part of an ASX listed group (ASX:ADJ), which has helped more than 5000 companies boost their brand and build their web presence since launching in 2001. 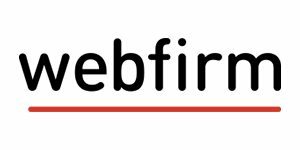 Webfirm is a full service digital agency, which provides web and mobile site development and creates online strategies to increase lead generation and traffic. Over the last 15 years they have worked with businesses large and small, ranging from start-ups through to national corporations. If you’re interested in taking up any of these offers, call Webfirm on 1300 932 347 referencing Access1st, or register your interest on their dedicated online portal for Access1st users.